'PapaBears' è un finemente arredata, quattro livelli, 1800 piedi quadrati casa privato situato nel tranquillo quartiere di Mountainside sul lato sud della città di Frisco. 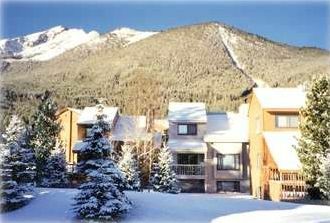 L'accesso a Clubhouse con, piscina, quattro Hot Tubs (tre fuori) Bagno turco, sauna, Racquetball Corte, Fuori Campo da tennis, sentieri, piste di sci nordico e la pista ciclabile a Copper Mountain, Vail e Breckenridge. Sistema di navetta gratuito dalla città di Frisco a Copper Mountain, Keystone e Breckenridge. A pochi isolati da Frisco Main Street - negozi, ristoranti ed eventi. Lago di pesca privato dall'altra parte della strada (a sinistra, poi a destra e su per la collina) per i bambini di età compresa tra 4-80 (senza patente a pescare in un lago privato). Cattura e rilasciare solo. Il livello principale di 'PapaBears' ha soffitti a volta, pavimenti in legno caldi e una splendida vista, TV, DVD (Blu Ray), Secure internet wireless, lettore CD (abilitato Bluetooth) e telefono ,. C'è un camino a legna nel soggiorno visibile dalla zona pranzo che può ospitare fino a 10, una cucina completamente attrezzata con molti extra, tutte con grande decorazione Rocky Mountain. La camera matrimoniale si trova al piano superiore con un letto queen-size, pieno cabina armadio, TV, DVD, telefono, bagno completo con vasca idromassaggio di grandi dimensioni, trapunte accogliente, arredamento di montagna e una splendida vista. La camera da letto Mid Level ha anche un proprio bagno completo, letto queen-size, e trapunte accoglienti con splendida vista troppo. Il Den si trova al piano inferiore ed è dotato di un divano, poltrone, TV / VCR / DVD, giochi e libri. C'è un bagno completo si trova a questo livello, lavatrice, asciugatrice, e un'altra camera da letto. Questa camera da letto ha un letto matrimoniale e un letto a castello (due letti singoli). La vasca da bagno nel bagno padronale è con idromassaggio. I just wrote to Don and Carol to tell them what a great time we had. I stayed with 4 friends I have known for 25+ years. We were so blessed to be able to ski together and talk about the old times while staying here at Don and Carol's wonderful condo. 5 beds plus a few couches and a pull out. A large dining room table. Comfortable for everyone and we all were able to have private space or uncrowded community space. I think we could have sat 8 at the table if I recall correctly. The pictures on this site should be updated as the condo is much more appealing in person and not as dated as some pics suggest. Not one person of the five of us could find anything to complain about and we were all happy with the accommodations. We were easily able to cook meals with the full kitchen and keeping a car in the garage is a great benefit in single digit weather. The plow came by a few times and removed snow from the drive. Another benefit was being only a few blocks from downtown Frisco and the great dining on Frisco's main street. I could go on but I can promise if you stay here you will not be disappointed. Great place. Thanks to both of you. Great for my family/group to take advantage of the various ski areas and still have pleasant dinners together. Downstairs was perfect for the kids to watch a movie while the adults conversed upstairs; plenty of kitchen to make meals easily; good location; clubhouse for anyone desiring pool/hot tubs. Friend was able to easily work remotely and found top room pleasant. I hope to find time to visit again. Great location. This place met all our needs. Owners where great to work with. Frisco is a lovely place. We very much enjoyed our vacation there. Great property for our group! The size and layout were perfect for our group. The location was perfect. We loved the clubhouse hot tubs. Everything was perfect! When we receive your rent deposit check we will send you a comfirmation showing the amount due, giving directions to PapaBears, how to get the keys, etc.